I see OJT’s (on the job training) every now and then, when I walk along the corridors from one department to another in the office. They’re still in college, but they need to earn some credits by spending a certain number of hours in a corporate environment. The first time I saw them in the office, I wondered how they got assigned to the company I work for. Is there some kind of placement office? I found out about the OJT Philippines Jobs site through an email sent by Ina Raquedan. And the history behind their OJT-focused site provides some insight on the challenges students face when searching for a company to earn OJT experience in. 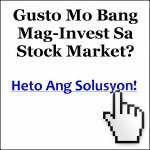 Typically, jobs in the Philippines are catalogued in various online job directories. But what about on the job training positions or vacancies? That’s where a site like OJTCareers.com can help. The site looks fairly new, yet what began as a dream shared by three friends has now grown into a network of over 12 students and 5 schools. And as awareness of this new online resource spreads, we can expect them to reach a tipping point that will benefit not only graduating students, but also SMEs who can tap the youth for some of their HR requirements. So if you’re a student wondering where you can gain additional corporate world experience via an OJT placement, or you are an employer interested in engaging soon-to-be college graduates, then check out OJTCareers.com today.